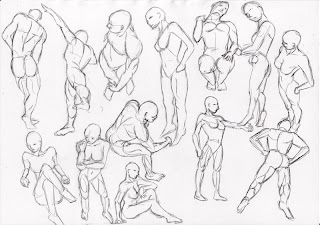 Drawing studies on the human anatomy. 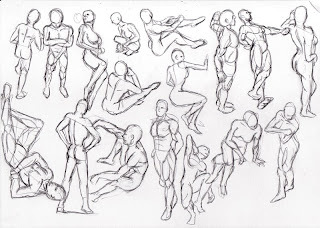 This is training the eye to see the body from different perspectives. 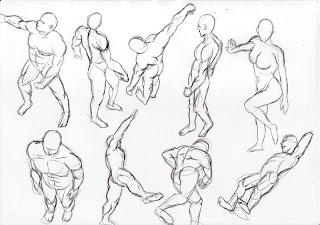 Its also to train the artist to be able to draw the body in the right proportions. Details are omitted as its not the main purpose, but rather the form, shapes & proportion.